‘There is always an ecstasy after every misfortune’. 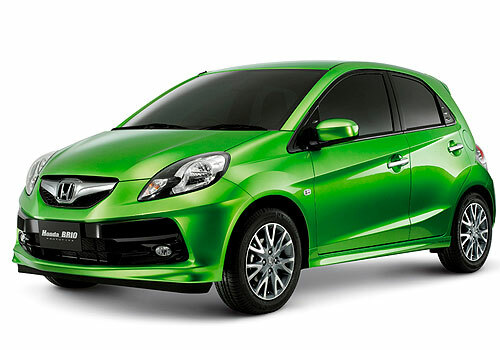 This line perfectly suits the re-opened bookings and start of deliveries of cute hatch Honda Brio and 2012 Honda City, which was halted due to lack of component supply from calamity ridden Thailand. After the announcement from Honda Motors about the re-opening of booking orders, a leading Honda dealership in Mumbai has also confirmed the same as they too have commenced the bookings of the two in-demand vehicles. In the wide spread Honda outlet one can notice the New Honda City and Honda Brio that were previously not witnessed due to suspension of the bookings last year. By the end of last year, Honda’s production facility based in Greater Noida was not able to roll out the two vehicles, as some of the vital spares were missing that are developed in the Thailand based component manufacturing units of the company. But now with the beginning of bookings and delivers it is quite evident that the production is now back to regular, without interruption. According to the dealer, the pile up of earlier bookings will be cleared by the end of this month. Both the vehicles along with Honda Jazz have been the most sought nationwide. The 2012 Honda City was launch with some more premium features like ‘Sunroof’ and ‘Automatic Transmission (AT)’, while Honda Brio is the most attractive, trendy and stylish presentation from the Japanese carmaker in India till date.